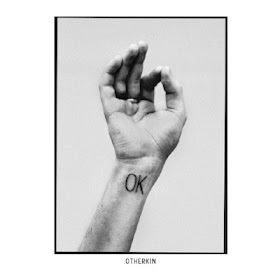 The debut album from Dublin garage rockers Otherkin, is a smidgen more than okay. In fact, it's 12 sharp, energetic tracks are really OK-plus. From the infectiously upbeat opener ‘Treat Me So Bad,’ through grunge blaster 'Come On, Hello' and the rock worthy 'Ay Ay' (from their debut EP, 'The 201'), 'OK' presents an in-yer-face onslaught of noise punk. Overall, trading on their danceable punk sensibilities, this Is a pretty fine debut from the Irishmen that serves up their genre with vim and vigour. Otherkin have said they want their records to be "punchy, lean and blazing." Sounds like they've accomplished that here.